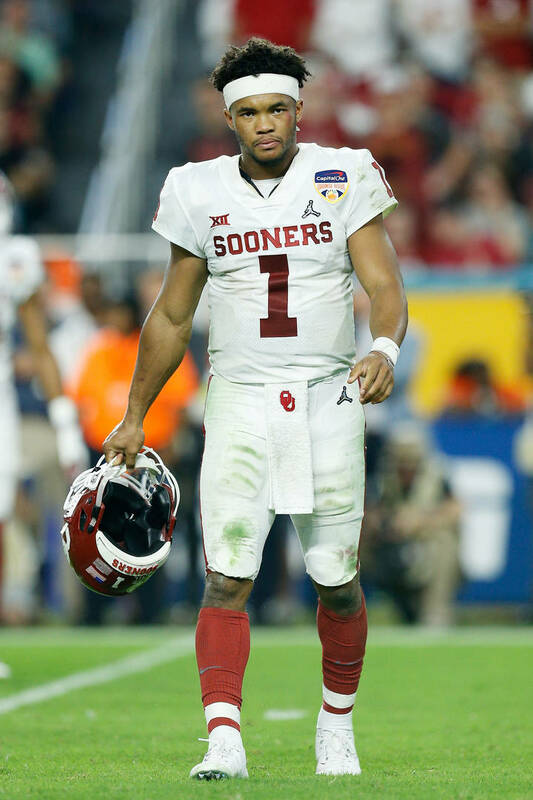 Home>Sports> Kyler Murray's Coach At Oklahoma Says NFL Decision "Made Sense"
Heading into the NFL Draft, Heisman Trophy-winning quarterback Kyler Murray had a huge decision to make when it came to which sport he wanted to play. Of course, Murray already had a contract with the Oakland Athletics of the MLB but also has the potential to be a star in the NFL. In the end, Murray decided to choose football which according to his coach at Oklahoma, Lincoln Riley, is the option that makes the most sense. "I think he got to the point where he knew he had a good situation either way, and I think in the end he just had a love of football that he just couldn't get past," Riley said via ESPN.com. "I think the idea of being an NFL quarterback is what appealed to him the most. It also made sense as far as the way he's played and the way he's viewed in that league and, you know, where he's most likely getting ready to get drafted. So I think it just came together." One of the biggest criticisms against Murray is the fact that he's 5'10" which is pretty short for a quarterback. Although, it has been stated that his upsides more than makeup for his size. He is projected to go early in the first round of the draft. SPORTS Kyler Murray's Coach At Oklahoma Says NFL Decision "Made Sense"